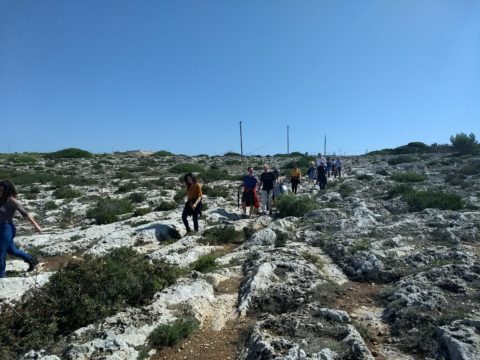 With cooler temperatures and pleasant days, now it’s one of the best times to join us for one of our Free Eco-walks to learn more about Dingli Cliffs’ environment, history, and local produce, whilst gazing at the panoramic views that the area has to offer. All our eco-walks start with an engaging audiovisual in the lecture room of The Cliffs Interpretation Centre followed by an invigorating walk, taking approximately 2.5 hours. All our eco-walks are free of charge and operate on a “Pay-what-it’s-worth-basis” to suit everyone’s budget. Eco-walks are held on Wednesdays and Fridays, starting at 11:00am (winter schedule), however booking is necessary. Email us on [email protected], fill our online booking form or call on 79642380.